We have 75 pitches for touring caravans, tents and motor homes, with some level, and some sloping [see 'Touring & Camping'] 60 of which have electrical hook-up, and being just over a mile from the railway station, town and Beach. 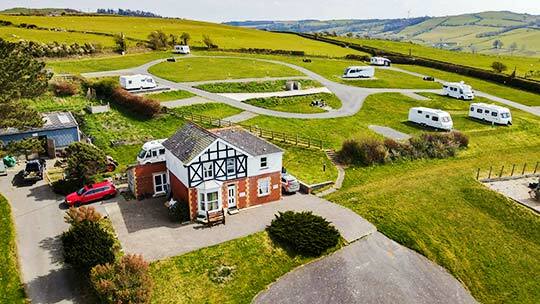 Midfield Holiday & Residential Park superbly situated as a touring centre, surrounded as we are by the beautiful countryside of MIDWALES. We are also close to the Ceredigion Coastal Path, the Ystwyth Cycle path & just a few miles from forestry trails, ideal for walking & cycling. For a list of places of interest, [see 'Out & About'] to help you plan your stay. 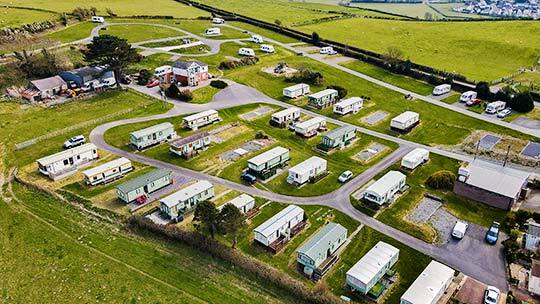 We also have 30 holiday pitches [see 'Holiday Homes'] all of which are privately owned & not available to rent together with 20 Park Home pitches for permanent 24/7/366 day occupation [see 'Residential'] We have one residential pitch which could be used for 12 month Holiday use, subject to conditions.